You know you should probably get more sleep. Mom probably told you to go to bed earlier. Coach probably threw a 9:30 curfew on the squad on the road. Someone, at some point, has preached about the importance of a that supposedly magical eight hours. If you’re serious about performance – they’re not wrong. Getting into that late night Instagram lurk or Netflix binge could actually be holding you back from peak performance. This articles is really to share the current Sleep/Sport Science research with my own athletes when I tell them that my favourite performance enhancement supplement is a good night sleep. Odds are the the King gets his eight hours. Elite reaction times aren’t just for goalies. Explosive cuts, avoiding a big dman stepping up on you, getting that shot off instantly in the slot – reaction time is essential for high performance. And, this can be significantly impacted by sleep. A Harvard study found that an all-nighter can reduce reaction times by 300% and take days to recover from (1). So while a good nights sleep before a game is important, not having good sleep habits throughout the week can still reduce performance on Friday. So while (hopefully) elite athletes understand the significance playing drunk would have on peak performance, more hockey players need to consider if their sleep habits may be slowing them down on game day. The headline sounds obvious — and it is. Sleep improves health and reduces injuries, but a lot of athletes don’t really understand the magnitude of this. A recent study looking at injuries rates of high school athletes found sleep was the single greatest predictor injuries, even greater than stressors such as practice hours or work load. 1) Enhance capacity to cope with stress. These “too good to be legal” benefits are all directly tied to adequate sleep. Furthermore, high quality sleep allows for greater regenerative activity in the body that hockey players need from the wear and tear of tough practices and hard fought multi-game weekends against rivals. Sleep should be considered your #1 injury prevention tool. 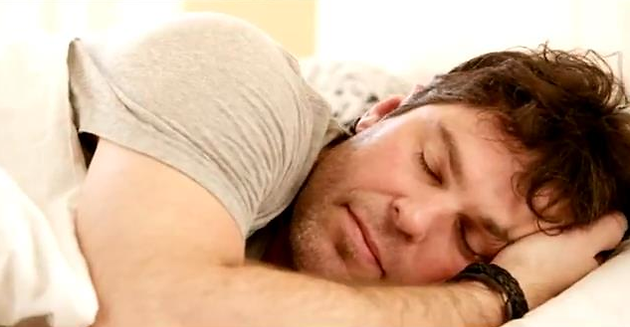 Father-time Jaromir Jagr has long been known to love his sleep. Oddly enough there were multiple pictures of Jagr sleeping on the internet, this was obviously the less incriminating of the two. Tied to reduced injury incidences and sleep’s regenerative benefits on daily wear and tear, a recently study found that fatigue levels directly correlated to the career levels of MLB baseball players. “We were shocked by how linear the relationship was, it is a great reminder that sleepiness impairs performance. From a sports perspective, this is incredibly important. What this study shows is that we can use the science of sleep to predict sports performance”. Research from another brilliant researcher, Cheri Mah (who studies sleep & athlete performance at Standford), looked directly at the relationship between sleep and performance in basketball players. Her study recorded sprint times/shooting accuracy after every single practice for a entire season, and found that players who increased their sleep not only ran faster, but also improved BOTH free throws and 3-pointers by 9% each. This level of improvement is significant in basketball and while, not hockey specific, performance gains this substantial could easily be theorized to be translatable to hockey. So what’s this mean? While teams such as the Jets, Ducks, Sharks, and Bruins, are creating detailed sleep strategies to get the highest performance out of their players (Good read from the NYT on NHL sleep habits here) it’s something you should begin to consider for yourself. Shoot for 7-9 hours depending on how hard you’re training. It doesn’t require a team of experts, it just requires turning the phone off and getting into bed a little bit earlier. Performance can be enhanced through more than just practice or training, and sleep’s an easy way to up your game. Enjoy those extra Zzz’s!